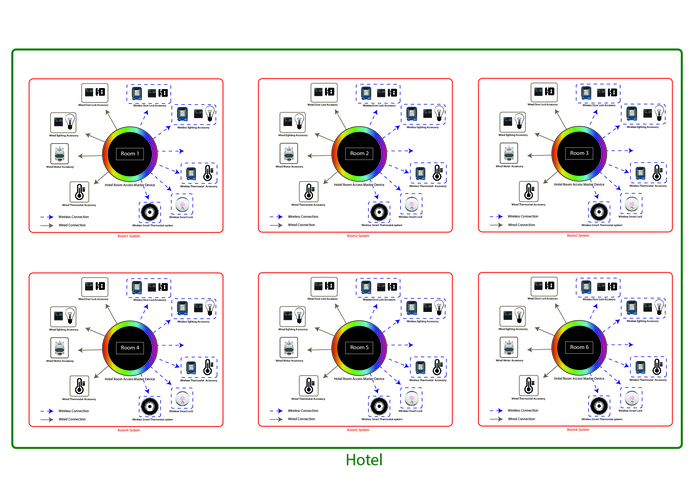 I have a friend who's renovating his hotel, and he asked me if there is a way to give room access to his customers with out meeting them in person, something like the apple watch or with a smartphone using NFC, the problem is that not every one has those kind of hardware, and they are really complicated to set up and could be very expensive. And when i came across the Knurld’s Hackathon it hit me. 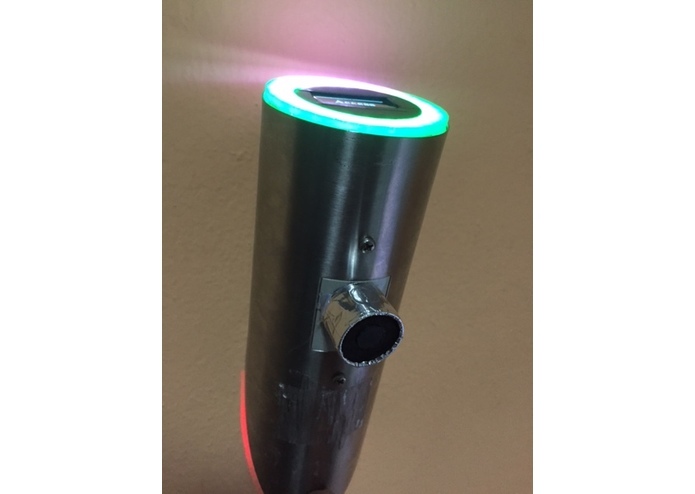 I thought that we can build a system which would be really easy to use, affordable and everyone can use with out the need of special hardware(almost everyone has a voice!). 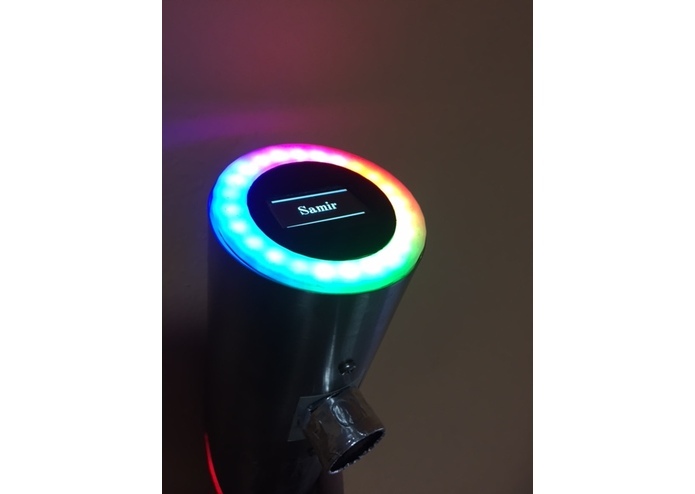 The system enables Hotels owners to give room access to their customers using cutting-edge Voice Authentication technology. 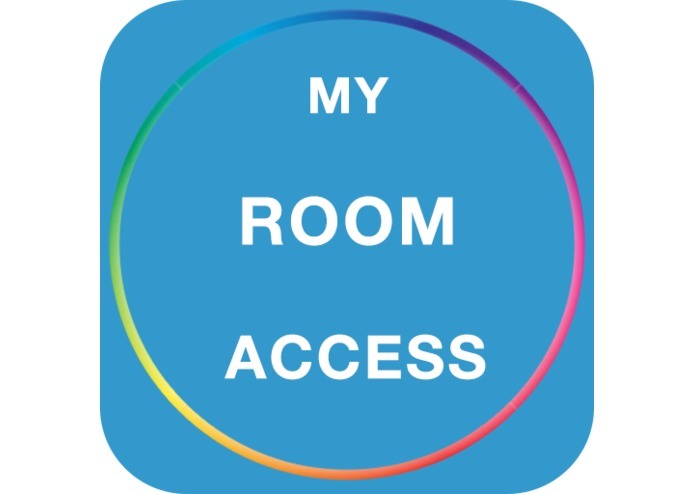 The rooms can be booked using the app, then the voice of the customer is then recorder and processed by the system, once the booking is confirmed, the customer can access the room using the device which is placed next the the room door, his/her voice is again recorded and verified. 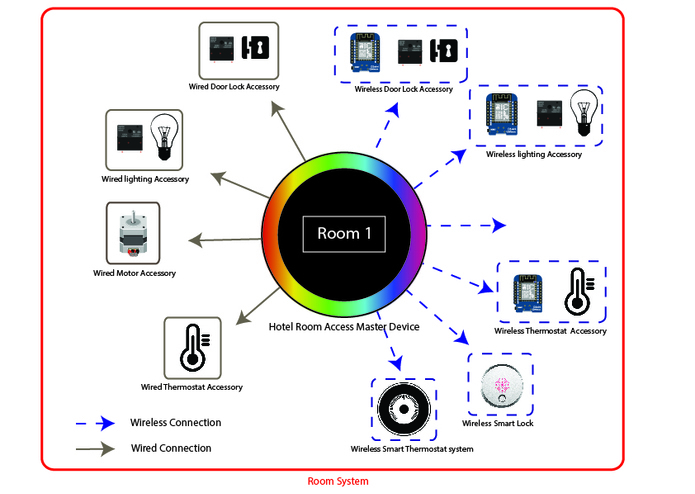 Each room in the hotel is equipped with a system which we are going to call Room System as shown in (HotelSystem), Each Room system contains one master device and some accessories connected to it with wires or wirelessly as shown in (RoomSystem). A Raspberry Pi 3 which is the main part of the device, it can be connected to internet via the built-in WiFi or ethernet cable, it runs it own MQTT server and therefor it must have a static IP address, all the authentication precess is handled by it, all the coding was made using node-red. 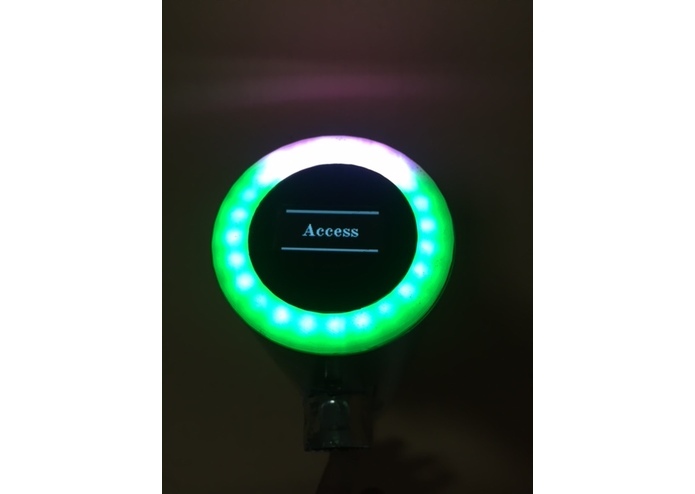 An Arduino mini which is used to control the Oled display and the NeoPixel ring ,it is connected to the raspberry pi via USB. A logitech USB Microphone which is connected to the raspberry pi via USB also. Four momentary switches which are connected to the raspberry pi via its GPIO’s. 1-Relays: They can be used to control the door strikes, the main power in the room, lights and so on,they can be either on or off. 3- Thermostat : They can be used to adjust room temperature depending on whatever the room is occupied or not. 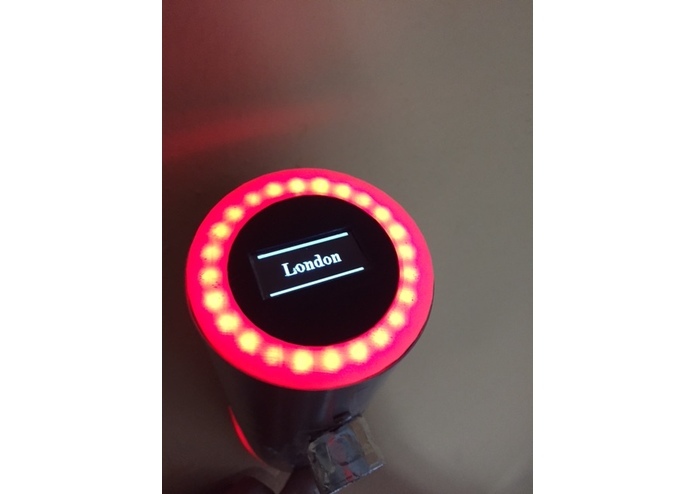 4- Third party Accessories: The system is compatible with a variety of products and services available in the market including Nest thermostat, Kevo Smart Lock, Wemo light switch and can be integrated easily. 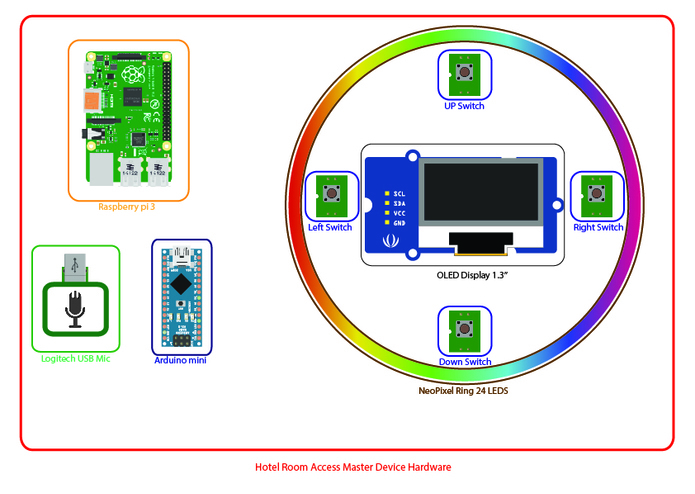 Those accessories can be connected to the Master Device with wires via the Raspberry pi GPIO’s or via WiFi. 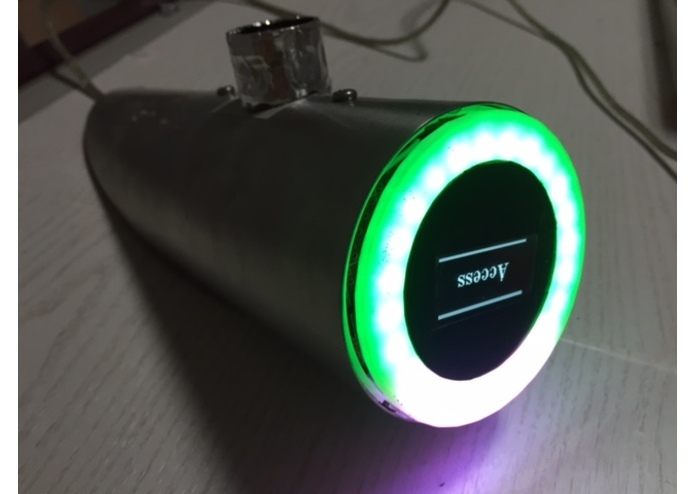 For the Wireless accessories i have used the ESP8266 module which is connected to the MQTT server of the master device, each accessory subscribe to a specific topic, and the masted device publish a message to those topics to control the accessories. 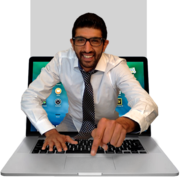 I have use MQTT protocol but other protocols can be use. And here is a video of the master device in action.